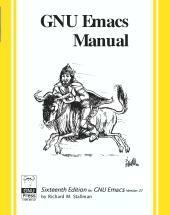 GNU Emacs is much more than a word processor; over the years it has expanded into and entire workflow environment. This book picks up where the introductory on-line tutorial ends. It explains the full range of Emacs' power and contains reference material useful to expert users. Appendices with specific material for Macintosh and Microsoft OS users are included. Puppy Linux is a free distribution (distro) of Linux that can run live (without installation). It is specifically designed to be smaller than other distros (and faster or suitable for older hardware) but nevertheless fully featured. This is a guide to the Knoppix Linux for the complete beginner. There is no need to install Knoppix, it runs Linux completely from a CD or DVD. Read this text if you are curious about Linux, and you want to discover what all the fuss is about. This is a stepping stone to to give people the knowledge to begin thinking about what is going on with their games. You need to know a little more about what's going on behind the scenes with your system to be able to keep your games healthy.